Inspired by the client’s concept of creating a development where “You want space to grow, to gather, to spend quality time”, Turner Fleisher worked closely with Menkes to bring this highly successful new enclave to Toronto’s Etobicoke area. 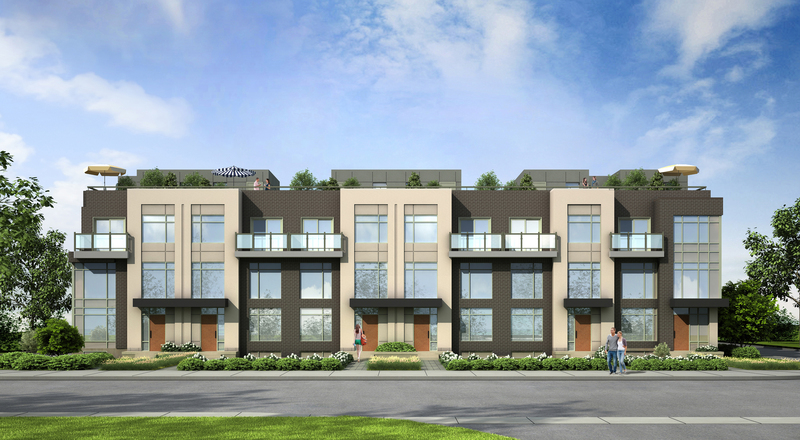 This project has been designed to be a mix of townhouse forms, reflective of the growing urbanity of this suburban area of Toronto. The site plan is simple yet effective incorporating back-to-back and stacked townhouses in comprehensive well scaled built form blocks. Unique and innovative elevations were designed using clay brick with coordinating coloured materials, stone, stucco and various accents. 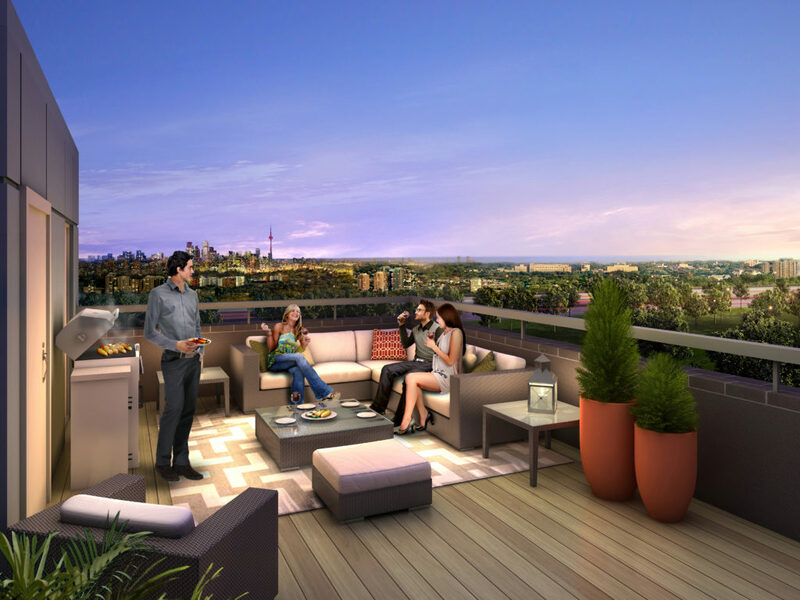 Designed with the future residents’ needs closely in mind, roofdecks were introduced to selected units, adding to the available outdoor space and atmosphere of the project. 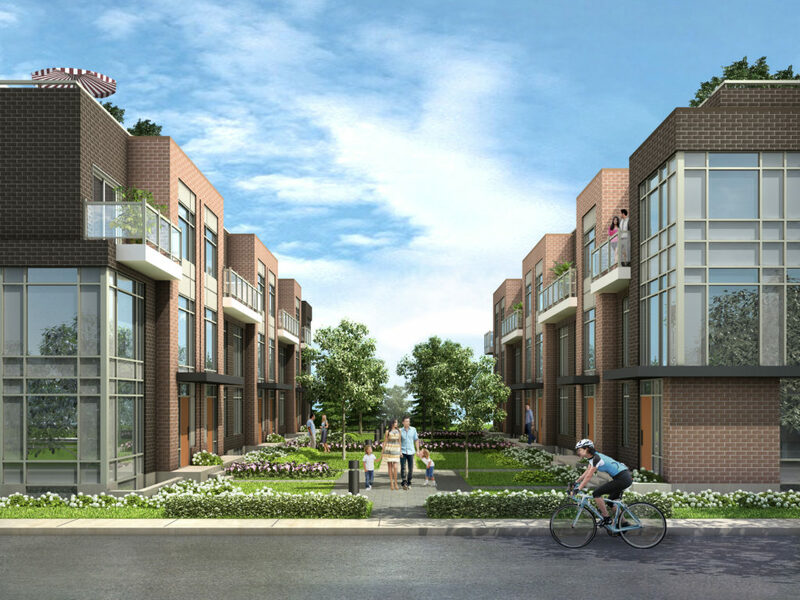 Homes are located atop a two storey parkade structure with vertical circulation points located strategically throughout the site, for ease of access through the gardens to the resident units. The architecture has a contemporary urban flair with clean lines and well-proportioned facades.